Have you ever hidden something so well that you couldn’t find it later? A friend of mine was complaining that he hid some cash a few week s ago in his house and now he can’t remember where he hid it. He thought carrying around lots of money was unsafe so he decided to hide what he was carrying and now he has lost $500. I am sure he will find it one day but it has been 3 weeks. More than once I have hidden something carefully and I cannot for the life of me recall where I put it. Normally it will be something valuable like a piece of jewellery or camera or something similar. The other day a button from my jacket came out. It was a unique button so I decided to keep it safe as I knew that if I lose it, I may not find another one like it. Yesterday, I wanted to fix the button but I can’t remember where I put it. I looked everywhere I could think of but I hid it so well that I can’t find it. Normally if we are going away for a holiday, I think I should hide my valuables in weird places so no one will look for it even if we are broken into. I do that happily thinking I am so careful. Then we go on holiday, have a good time and come back home. Then one day, my husband will need some of the things I have hidden. He will come and ask me where I have put that and I have to think so hard and look at least 10 different places to locate item. Thank god, I found all of them eventually but you have to see his reaction in the meantime :). I also realise that things seem to appear in the same spot where I have already looked. This happens to me so often. Normally I find things in a drawer/ cupboard I had looked in probably 50 times. These days for valuable stuffs, I tell AS where I have hidden it so if I forget, he will remember. But it has happened that both of us have forgotten and we have to search for it for quite a while before we find it. Have you ever hidden something so well that you couldn’t find it again? Do share your story here. 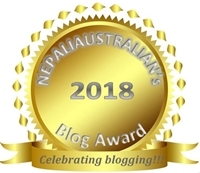 This entry was posted in General and tagged hidden, hide, hide something, nepali australian, Nepaliaustralian, valuable. Bookmark the permalink. ok..I owed a friend $3,000 and I gave it to her but she did not put it away but put it on the counter. When we went to bed, I had gotten up to get a drink and saw the money. I hide it just in case somebody broke in etc. Anyways, the next morning I forgot where I hid it…stressed to the max we both started going through things.I kept thinking it was in the pantry so my friend cleaned it out along with a linen closet. Anyways she gave up looking even after I asked to keep helping me etc. No go. I have gone through and cleaned out my house and still no money. My friend does not ask anymore if I found it and still comes to visit and when I ask to help look for it, there isn’t any follow through. Anybody have any thoughts about what you do when you can’t find something worth this amount? I didn’t throw it away because I went through the trash the next morning. Aagh!! I hid the wifi device and have no idea where I put it! Missing 8 days now and I’m tired of searching for it 🙂 any hints?? Oh this happens to me when simply tidy up and put stuff in “their designated” places. Later on, I cannot, for the life of me, remember where I put what. And I wasn’t even trying to hide it! I do that all the time too…. Ohooo hope you will find that one soon sis …. Lol, I haven’t done this. I do, however, make really complicated passwords and totally forget them later. I don’t even get the password hints! I’ve changed many an email account due to this!